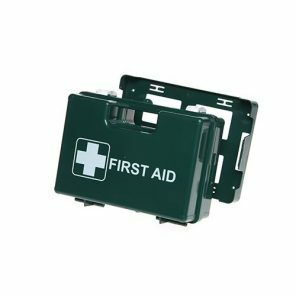 Supplying a deluxe HSE first aid kit enables you to comply with the minimum requirements under the current Health and Safety Regulations. 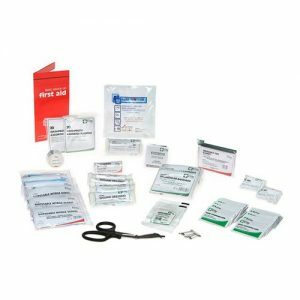 However, you may wish to consider our range of BSI first aid kits compliant with BS8599-1:2019 Supplying a BSI first aid kit is seen as best practice. 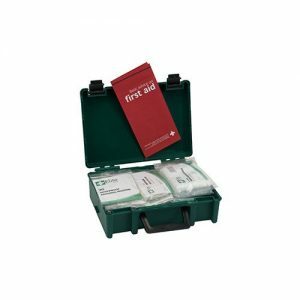 The Deluxe HSE first aid kit is available in 10, 20 and 50 person sizes. This also allows employers to conform affordably to minimum requirements. Our deluxe HSE first aid kits are in a strong, durable, ABS plastic box. This contains additional internal compartments therefore enabling you to organise the kit content. In addition there is a clip in wall bracket. Furthermore, the internal compartments allow access to the content whilst the kit is in the bracket without spilling the contents. 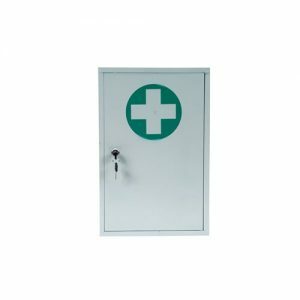 These lockable metal first aid cabinets are available in varying sizes with either metal doors or glass doors suitable if supplies need to be visible.